I was lucky enough to live on Coronado beach in San Diego and saw the NAVY SEALs training every morning at the break of dawn. 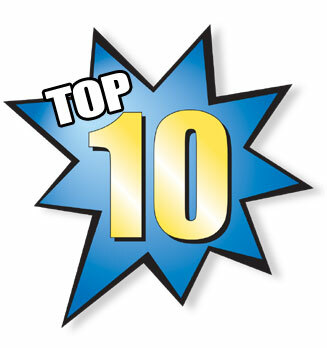 These top 10 lessons are courtesy of Admiral Will McRaven’s commencement address at UT Austin. Priceless pearls of wisdom for Entrepreneurs and Dreamers worldwide. 1. If you want to change the world, start off by making your bed. Making your bed gives your a sense of accomplishment first thing in the morning and reinforces the fact that little things in life matter. If you can’t do the little things right, you will never do the big things right. 2. If you want to change the world, find someone to help you paddle. No man is an Island. Find the team that will help you succeed. 3. If you want to change the world, measure people by the size of their heart, not the size of their flippers. Appearances can be deceptive. Recognize who you are really dealing with. 4. If you want to change the world, get over being a sugar cookie and keep moving forward. The best laid plans and performance can sometimes still not work out as desired. Real life situations seldom have textbook “perfect” outcomes. Get over it and move onwards. 5. If you want to change the world, don’t be afraid of the circuses. The circus is when something disappoints, discourages and doesn’t end up as planned. Life is full of circuses but everyone successful faces circuses. Embrace the circus as an opportunity to build inner strength and resiliency. 6. If you want to change the world sometimes you have to slide down the obstacle head-first. Innovation comes from taking risks and solving problems in an unconventional way. This inherently involves risk, but calculated risk can have a big payoff. 7. If you want to change the world, don’t back down from the sharks. There are a lot of sharks in the world. If you hope to complete the swim you will have to deal with them. Stand your ground and don’t back down. Fear can become self-fulfilling. 8. If you want to change the world, you must be your very best in the darkest moment. The darkest moment often marks the apex of the challenge. Paradoxically this is where most people lose heart and give up, exactly when they are actually closest to succeeding. 9. If you want to change the world, start singing when you’re up to your neck in mud. More things are wrought by Hope than the world dreams of. Never underestimate the power of Hope. Hope is also contagious. 10. If you want to change the world don’t ever, ever hit the Escape key. The escape hatch is usually only a keystroke away. Avoid its temptation. I was delighted to Chair the Executive Session featuring CEOs and CTOs of innovating mobile companies at the VentureBeat Mobile Summit held at beautiful Cavallo Point Resort in San Francisco. My co-chair was Scott Davis, CTO of End User Computing at VMWare. Noted journalist Dylan Tweney interviewed me at the conclusion of the day (see video interview below). Enterprise mobile trends are moving quickly. What problems have been settled and what remain open questions, and what are the tools that will help address them? Will mobile enterprise devices have dual personalities or will we continue to have one device for personal use and one for work? If the former, what is the best way to do this, i.e, on the app level, or network level? What technologies are interesting here? What needs to be developed? Where’s the opportunity for collaboration? In Silicon Valley, we often talk about Mobile Device Management (MDM) as a settled subject, and we are now looking for what comes next, but where do we actually stand in MDM adoption? And what is needed in MDM to spur progress? What are enterprise customers and CIOs looking for at this moment? What other apps and services (often driven by consumers?) will empower mobile workforces? Will IT’s moves to protect enterprise from BYOD trends be enough in itself to spur growth? How secure can we really make mobile devices? How do enterprises balance the demand for mobility and the need to protect their data and networks? 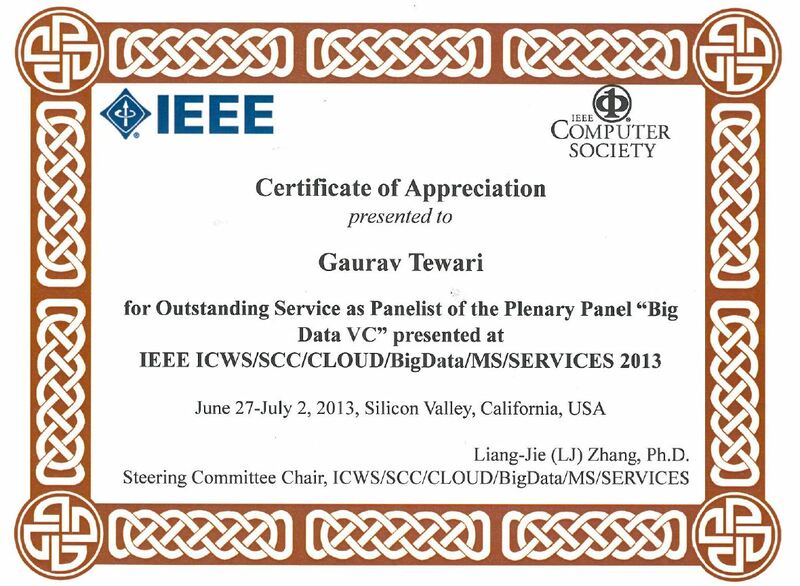 This week I’d like to thank my friends at the IEEE Computer Society for recognizing me as a “Big Data VC” and presenting me with the IEEE Certificate of Appreciation for Outstanding Service at the IEEE Cloud/BigData 2013 Plenary Session in Silicon Valley, CA. IEEE , pronounced “Eye-triple-E,” stands for the Institute of Electrical and Electronics Engineers, IEEE is the world’s largest professional association dedicated to advancing technological innovation and excellence for the benefit of humanity. IEEE and its members inspire a global community through IEEE’s highly cited publications, conferences, technology standards, and professional and educational activities. Thank you, IEEE, for this honor! Transformative disruption in Human Computer Interaction: moving beyond the point and click keyboard and mouse to touch, gesture recognition, and speech interfaces. From Graphical UX to Intuitive UX. Leveraging the latent powers of Smartphones: we are all carrying these very powerful computers in our pockets and startups are figuring out how these devices and their significant capabilities can be used to disrupt large markets. For example: sensing vital signs for health monitoring to mapping / geolocation for navigation to leveraging location-awareness and smartphone cameras to enrich productivity, commerce, and entertainment applications. On February 28, 2013 I was honored to be a Panelist at an event organized by VC Taskforce on the Trends and Opportunities in Healthcare Technologies. On February 13, 2013 I spoke at the “Fundable Deals: Making VCs Sit Up and Take Notice” panel at Venture Summit West at the venerable Computer History Museum in Mountain View. Venture Summit West is a premier industry gathering connecting venture capitalists, angel investors, senior executives of operating companies, and over 500 early and mid-stage technology startups. My fellow panelists included leading VCs: Mark Gorenberg (Hummer Winblad), Dan Ahn (Voyager Capital), Norm Fogelsong (IVP), Stephanie Palmeri (Softech VC) and others.